Nowadays we see more and more routing in our networks. Routing protocols like OSPF and EIGRP are much faster than spanning-tree when they have to deal with changes in the network. To keep up with the speed of these routing protocols another flavor of spanning-tree was created…rapid spanning-tree. Rapid spanning-tree is not a revolution of the original spanning-tree but an evolution. Behind the scenes some things have been changed to speed up the process, configuration-wise it’s the same as what you have seen so far. I will refer to the original spanning-tree as “classic spanning-tree”. 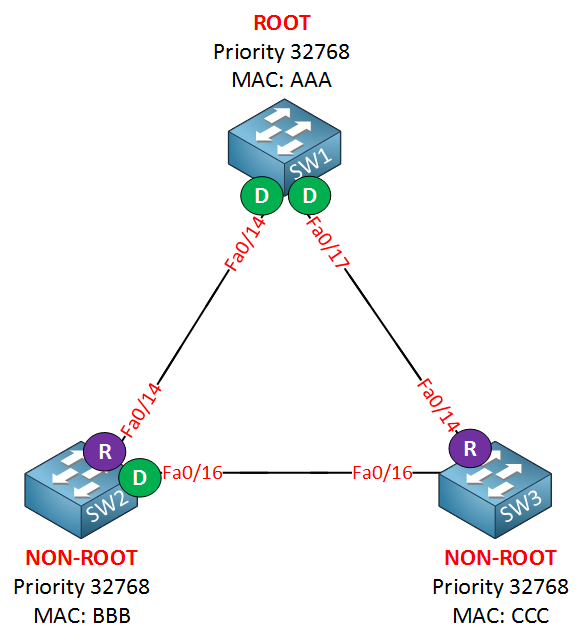 Classic Spanning-Tree Rapid Spanning-Tree Port active in topology? Learns MAC addresses? Here is a new port for you, take a look at the fa0/17 interface of SW2. It’s called a backup port and it’s new for rapid spanning-tree. You are very unlikely to see this port on a production network though. Between SW2 and SW3 I’ve added a hub. Normally (without the hub in between) both fa0/16 and fa0/17 would be designated ports. Because of the hub the fa0/16 and fa0/17 interface on SW2 are now in the same collision domain. Fa0/16 will be elected as the designated port and fa0/17 will become the backup port for the fa0/16 interface. The reason that SW2 sees the fa0/17 interface as a backup port is because it receives its own BPDUs on the fa0/16 and fa0/17 interfaces and understands that it has two connections to the same segment. If you remove the hub the fa0/16 and fa0/17 will both be designated ports just like the classic spanning-tree. This new BPDU is called a version 2 BPDU. 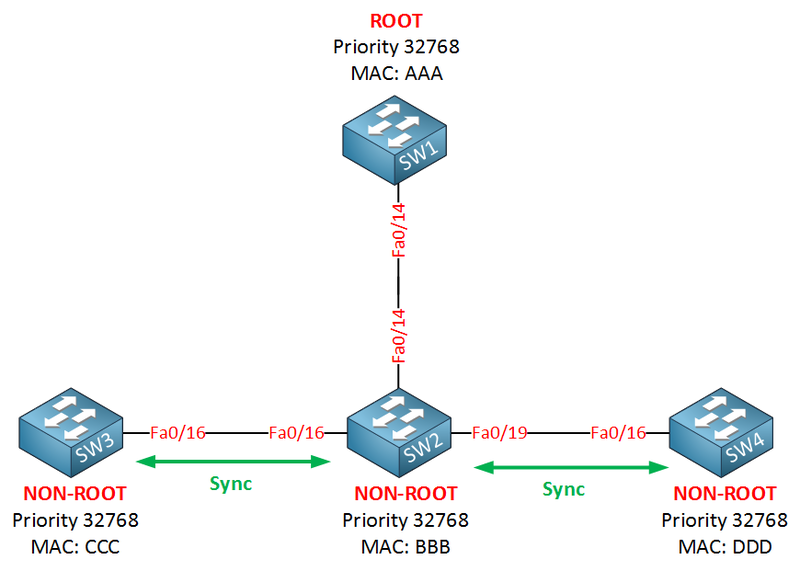 Switches running the old version of spanning-tree will drop this new BPDU version. 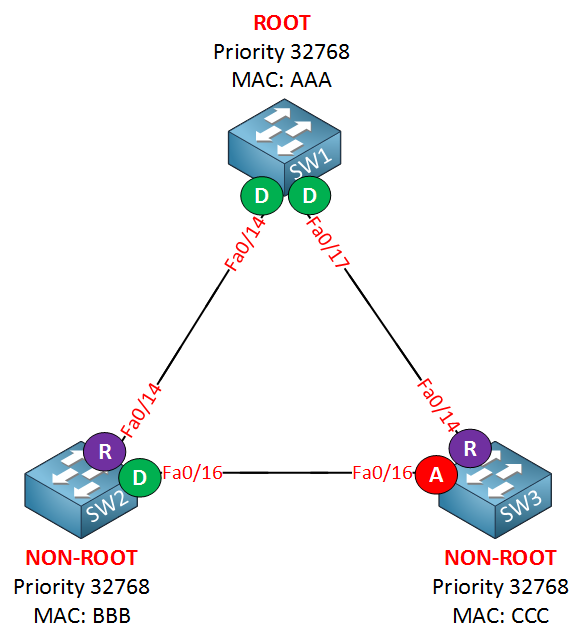 In case you are wondering…rapid spanning-tree and the old spanning are compatible! Rapid spanning-tree has a way of dealing with switches running the older spanning-tree version. BPDUs are now sent every hello time. 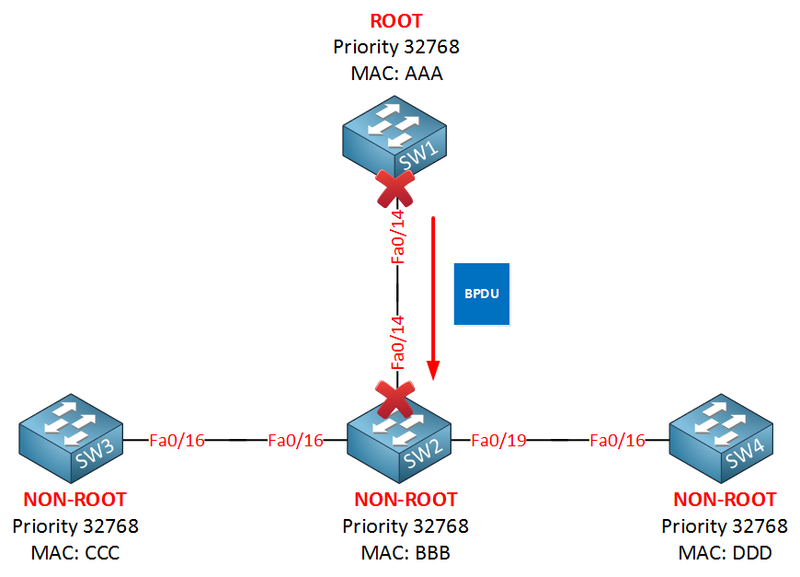 Only the root bridge generated BPDUs in the classic spanning-tree and those were relayed by the non-root switches if they received it on their root port. 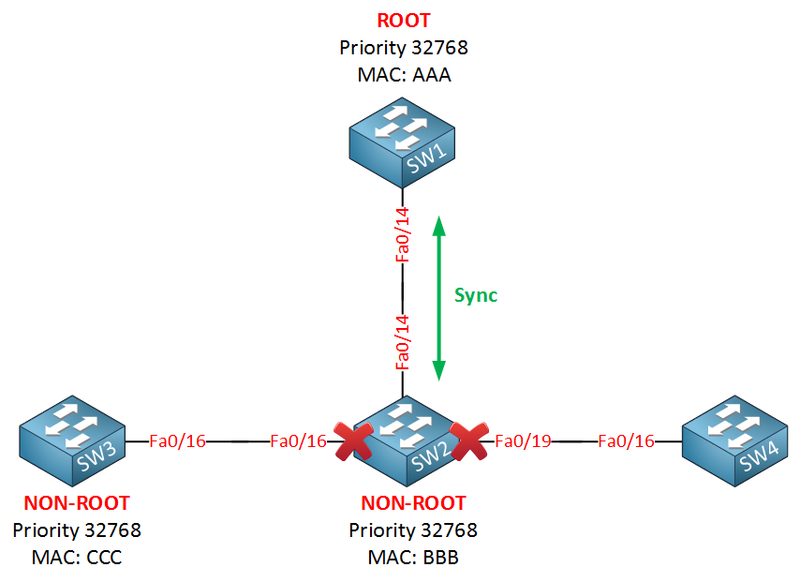 Rapid spanning-tree works differently…all switches generate BPDUs every two seconds (hello time). This is the default hello time but you can change it. The classic spanning-tree uses a max age timer (20 seconds) for BPDUs before they are discarded. 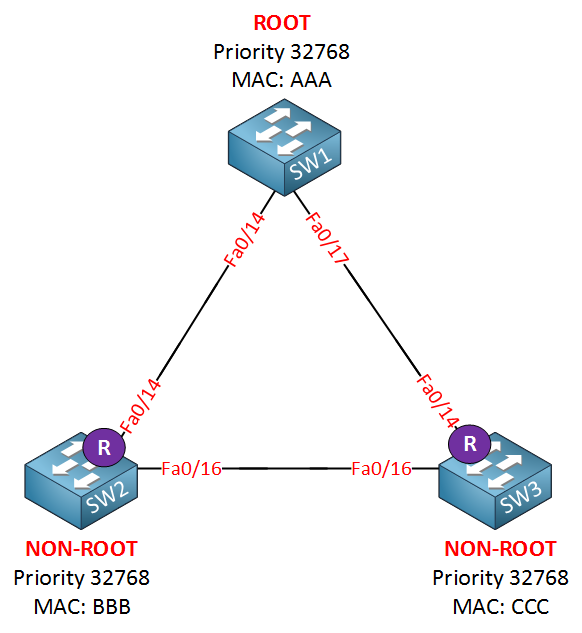 Rapid spanning-tree works differently! BPDUs are now used as a keepalive mechanism similar to what routing protocols like OSPF or EIGRP use. If a switch misses three BPDUs from a neighbor switch it will assume connectivity to this switch has been lost and it will remove all MAC addresses immediately. Rapid spanning tree will accept inferior BPDUs. The classic spanning tree ignores them. Does this ring a bell? This is pretty much the backbone fast feature of classic spanning-tree. Transition speed (convergence time) is the most important feature of rapid spanning tree. 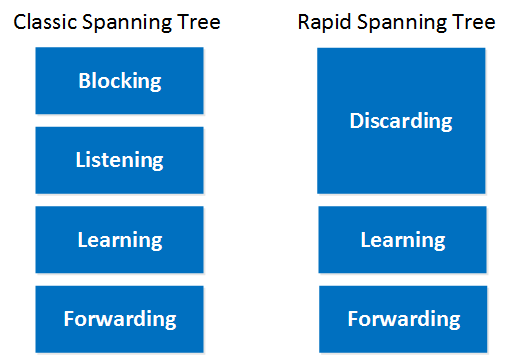 The classic spanning tree had to walk through the listening and learning state before it would move an interface to the forwarding state, this took 30 seconds with the default timers. The classic spanning tree was based on timers. Rapid spanning doesn’t use timers to decide whether an interface can move to the forwarding state or not. It will use a negotiation mechanism for this. I’ll show you how this works in a bit. Do you remember portfast? If we enable portfast while running the classic spanning tree it will skip the listening and learning state and put the interface in forwarding state right away. Besides moving the interface to the forwarding state it will also not generate topology changes when the interface goes up or down. 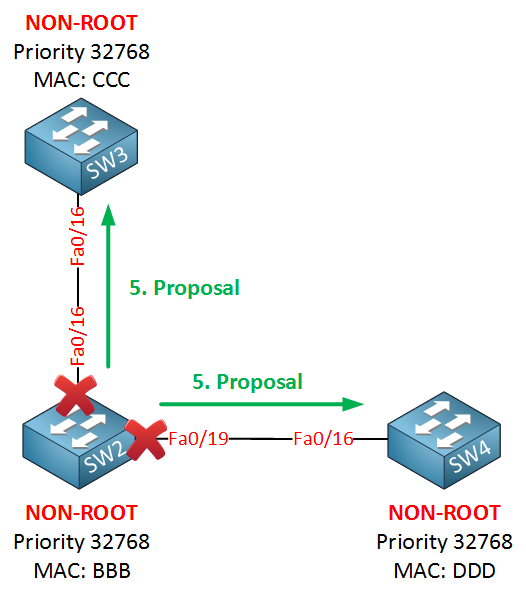 We still use portfast for rapid spanning tree but it’s now referred to as an edge port. Normally we are using switches and all our interfaces are configured as full duplex, rapid spanning tree sees these interfaces as point-to-point. If we introduce a hub to our network we’ll have half duplex which is seen as a shared interface to rapid spanning-tree. Let me describe the rapid spanning tree synchronization mechanism by using the picture above. SW1 on top is the root bridge. SW2, SW3 and SW4 are non-root bridges. SW2 will also perform a sync operation with both SW3 and SW4 so they can quickly move to the forwarding state. Once SW1 receives the agreement from SW2 it will put its fa0/14 interface in forwarding mode immediately. What about the fa0/16 and fa0/19 interface on SW2? 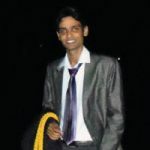 Learn any CCNA, CCNP and CCIE R&S Topic. Explained As Simple As Possible. Try for Just $1. The Best Dollar You've Ever Spent on Your Cisco Career! Full Access to our 644 Lessons. More Lessons Added Every Week! You may cancel your monthly membership at any time. That’s correct, RSTP has features that are similar to uplinkfast and backbonefast, there’s no need to activate these. Can You Please clarify mine below Questions? With this Statement, we understood that In RSTP, selection of Root Bridge is similar to STP. Question 1.1: In RSTP, I powered on 3 Switches, now all the 3 switches trying to select the Root bridge,In this process will they send proposal bit set in their BPDUs or not? UplinkFast and BackboneFast do not actually need to be configured because they are mechanisms that are included and enabled natively in the RSTP functionality. 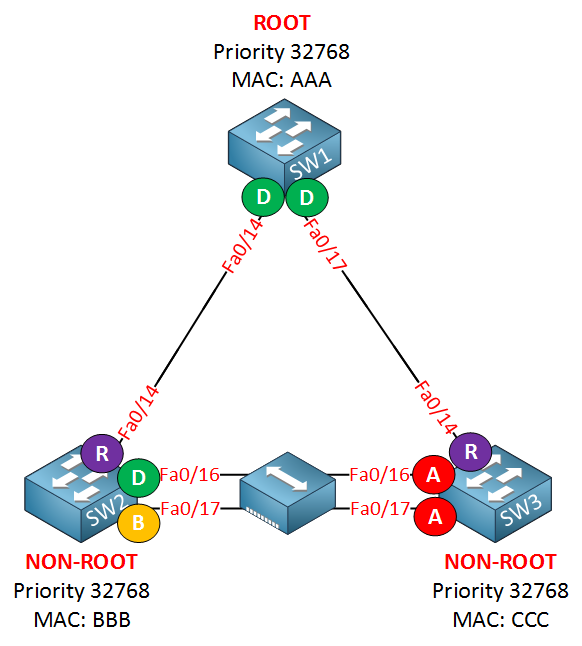 Whether or not they are enabled in the spanning-tree summary will not change the behaviour of RSTP. I will ask @ReneMolenaar to clarify that in his lesson. Thanks very much and I hope this has been helpful! Thanks Laz for the clarification! 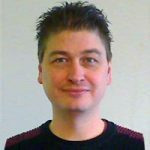 I am René Molenaar (CCIE #41726), Your main Instructor. My goal is to teach you everything about Cisco, Wireless and Security. I am here to Help You Master Networking! 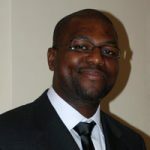 NetworkLessons.com gave me a vast knowledge in Cisco Networking. The explanations are very clear and are in simple English which anyone can easily understand. I got much more knowledge from this website for my Cisco Exam and my carrier progress. Thank you so much for helping network professionals over the world! Networklessons has been a great tool in my journey through learning networking, and in working towards Cisco certifications. Rene does a fantastic job of taking something complicated, and making it easy to understand. I highly recommend this site! 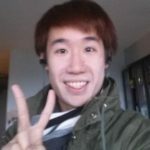 I am studying CCIE R&S and NetworkLessons.com is one of the crucial resources for me. While in the middle of studying or working on a lab, if I have any doubt about a feature, setting, or protocol behaviors, I can quickly find clarification on NetworkLessons.com. I recommend this site as a VERY useful resource in CCIE studies. NetworkLessons.com is the best! It is very informative, detail oriented and covers every single subject in the Cisco curriculum. All is based on theory, practical samples and of course Rene's own experience and is very user-friendly. 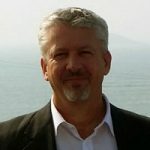 If I have to recommend NetworkLessons.com to either my colleagues or friends, I'd tell them that it has everything they need to know to master their network curriculum starting from CCNA, ASA to CCIE! NetworkLessons is a great learning resource for basic and advanced network concepts. I really love the way Rene breaks down a technology by showing labs and explaining in a very simple way. I can say I've finally found the resource where even advanced topics are easy to understand and straight to the point. 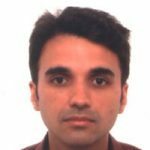 NetworkLessons helps me immensely in understanding all difficult CCIE R&S topics and I'm very glad for that! 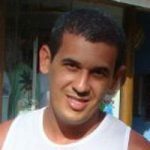 NetworkLessons.com is very useful if you want to improve your Cisco and network skills. Their website is very interesting because the topics are very well explained even the most complex ones. I can recommend it highly because it is very rich in great information and lessons! 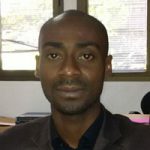 There are a lot of websites with content about computer networks but on networklessons I found the best and easy to read articles to help me prepare for Cisco exams. I am very happy and excited about each subject that I have learned! NetworkLessons.com has an amazing way simplifying complex materials without oversimplifying things. Nice drawings of the scenarios. I used their materials (and some other) to achieve CCNP level (RS) and am now using it to complement my CCIE studies. Their courses are ordered in a way that you can find answers to questions you got fast. I really recommend their materials! The structure of the courses is very simple, yet complete. This makes it easy to understand and process, and at the same time you can make sure you are not missing anything. And, the option to interact with the author is priceless! 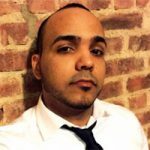 Rene's approach to learning is easy and saves time and money. I certainly would recommend Networklessons.com to a friend! 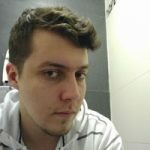 NetworkLessons.com is the best place out there to learn online about networking and engineering and better compared to other e-learning sites alternatives. You won't be disappointed! NetworkLessons.com is a great help in my networking studies. Keep on going René! I feel Rene is very helpful especially when I need help in my job in Cisco. 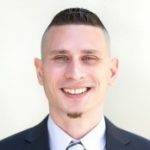 My previous experience is with Linux systems and any open-source projects, creating various services ranging from DNS, Web services to OpenVPN, and OpenRadius. Plus maintaining security of servers. I am currently working at a Stocks Exchange Software company, which requires me to have knowledge both in Cisco, and Unix. I have some basic knowledge on Cisco, however my job requires to have more in-depth knowledge especially in multicast. 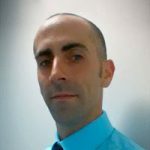 One thing I love in enrolling on Network Lessons is because of Rene, I feel he is a very helpful and talented Cisco Network Engineer. Hopefully I will learn a lot on Cisco and he may help me, since I started to love Cisco. The learning experience is great, easy to learn and contains straight to the point explanations. Networklessons.com is a great teacher!